Years ago when I moved to Lake Tahoe I quickly learned from locals around town about this place called the Squeeze In. Known for serving the best breakfast in town, competiting during a “Throwdown with Bobby Flay” and also for having the “Best Omelettes on the Planet” ® . That was enough convincing for me and soon I headed over to experience my first breakfast at the Squeeze In. 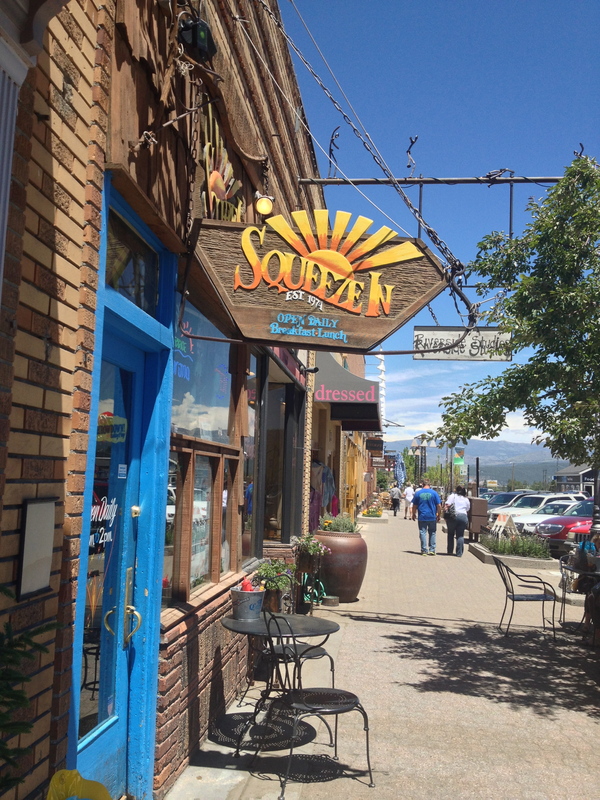 Located on historic row of downtown Truckee, CA I learned that Squeeze In had a few different meanings. First, it pays tribute to the restaurant’s cozy size which consists of one long hallway spanning only 10.5 ft across in length so you literally have to “squeeze in”. Secondly, they serve generous portions of delicious breakfast and lunch dishes which you also have to “squeeze in”! 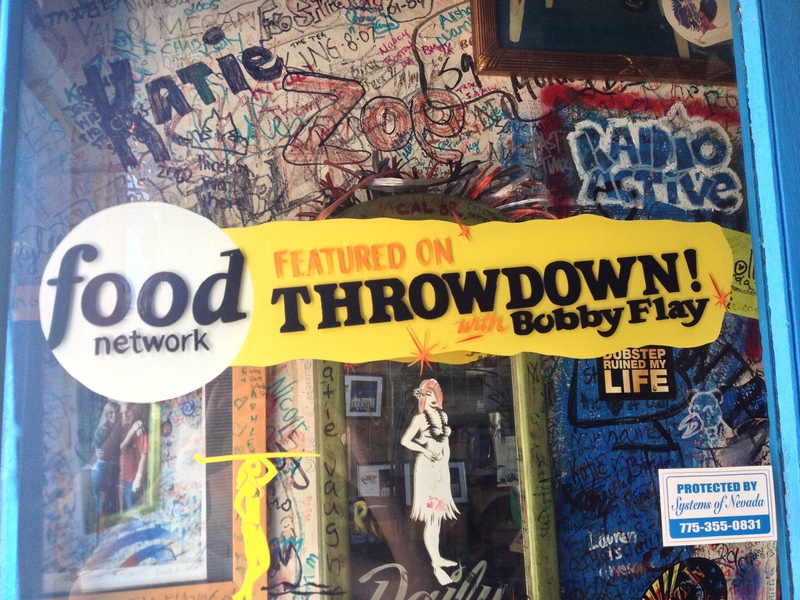 Most famous for their omelettes with 65 different versions featured on their menu with colorful names such as the “Forest Gump”, “Shake & Bake”, “Spanish Flay” in tribute to Bobby Flay and their very own “Lake Tahoe”. Squeeze also has a number of other delicious items on their menu including what they call “the usual breakfast” which you can imagine the players and tasty lunch specialities such as burgers, sandwiches, salads and more! I dined with a friend, shared their signature “Racy Tracy” winning omelette and immediately fell in food love. One thing I was particular impressed with, my friend brought her young 1.5 yr. old daughter who was antsy to play – immediately the server brought over a toy box crate filled with wonderful things instantaneously occupying her allowing us to enjoy our breakfast and chat. Recently, Shila Morris, president of the Squeeze In visited my MBA personal branding class to tell her family restaurant’s history, triumps and tribulations and how social media marketing channels contributed to their success. It was during this hour lecture that I came to learn that I had much more in common and opportunity to learn from Shila and the Squeeze. Shila explained the story of how her parents acquired and established their family business fulfilling their early dreams of someday owning the Squeeze In after years of enjoying “free omelette” tips from Shila’s dad’s company. In particular, Shila described parents as a free-spirited, beach loving surfers from Southern California which resonated with me strongly. See, I am also married to a similar soul whom I met on Maui, Hawaii and whose life-long dream is own and operate his own restaurant. Therefore, the stories Shila shared of Squeeze In’s history, successes, mistakes and strategic growth through the use of social media marketing channels hit a deep cord. Today Shila’s mom Misty Young and original co-founder of the restaurant recently wrote a book which will be on shelves this summer titled From Rags to Restaurants documenting the lessons and experience that her family has learned in establishing their small business and sharing this advice to anyone who wants to open a restaurant and or wants to take their restaurant business to the next level. To say the least, this book will be in my husband’s Christmas stocking next year! Not rookies to video, the crew at Squeeze In love their creative videos including favorites such as “Squeeze In “Omelette Style”/”Gangnam Style” Parody Video and their very own Squeeze In Harlem Shake video each with thousands of views! Also, check out their blog “The Good Egg” and learn more about specials, events and get an insider view of the Squeeze In. 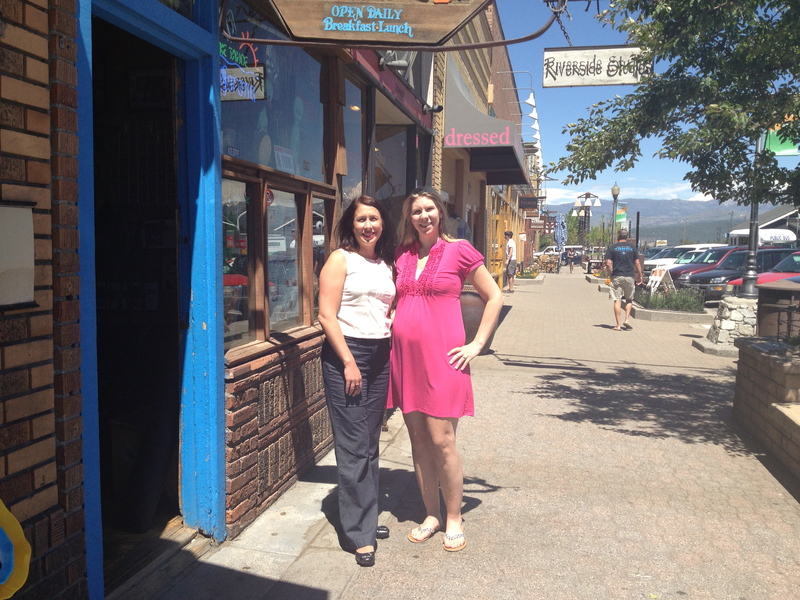 Have you dined at the Squeeze In in downtown historic Truckee? If so please share your favorite dish in the comments below. If not, head over there today! They are open daily from 7am – 2pm and now celebrate four locations throughout the Tahoe-Reno region. Look forward to squeezing in alongside you soon! 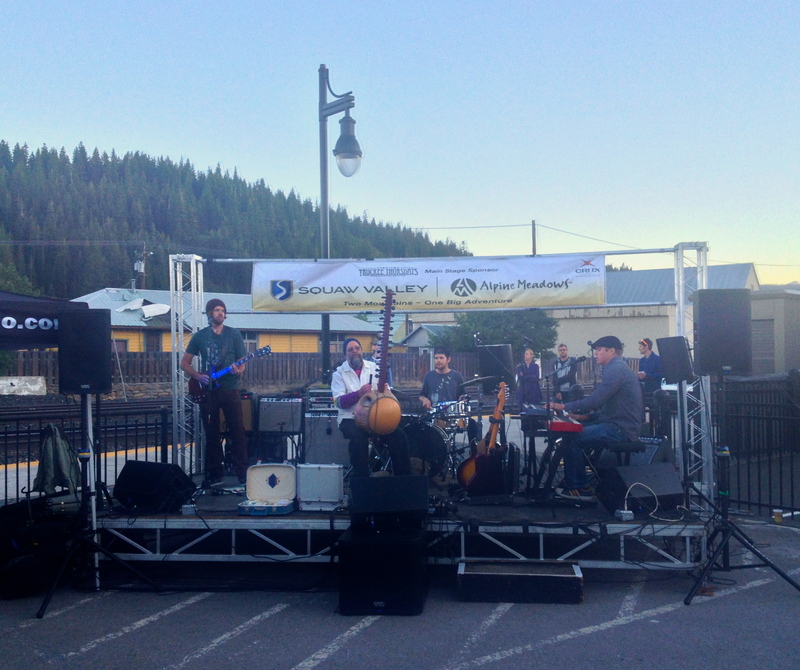 This past Thursday evening Truckee-Tahoe locals from all around gathered to welcome back a favorite summer event, Truckee Thursday! 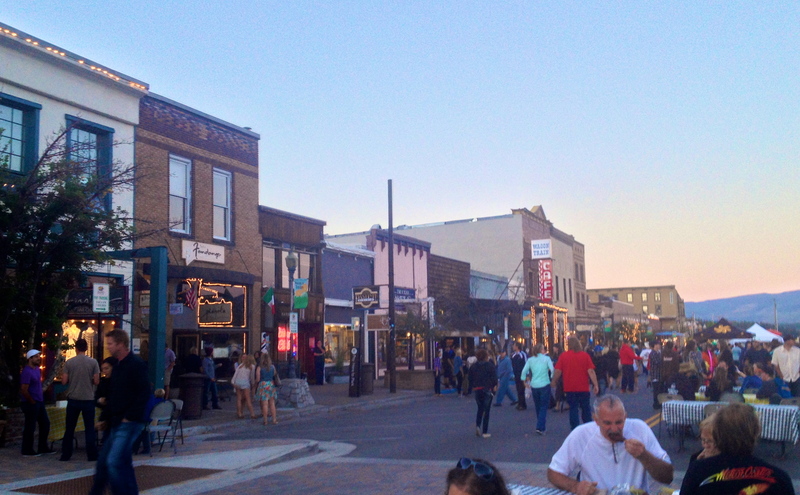 Every Thursday evening from 5-9pm this summer until August 29th locals will gather to eat, drink, shop and reunite on the city blocks of downtown historic Truckee, CA for this weekly celebration. Hosted by the Truckee Downtown Merchants Association, Truckee Thursdays are a fantastic way for visitors, locals and businesses to reunite and celebrate their local community. So what exactly is Truckee Thursdays? Picture farmer’s market meets street party in the mountains. The downtown blocks of historic Truckee are closed to vehicle traffic for the evening and in its place local merchants including farmers, artisans, crafters and restaurants and invited to secure booths to feature their products, services and culinary arts. It is great event celebrated by guests of all ages from newborns to seniors and even dogs are welcome! Allow me to take you on a quick tour of my usual visit to Truckee Thursday to give you a better picture. I usually carpool with friends and park in either the lot on East River Street (if it isn’t full already) or along the street. First stop, I like perusing the local vendor booths set up in the street selling fruits and vegetables along with crafts such as candles, jewelry and home furnishings – perfect for gifts! These vendors often leave on the early side so it is good to go there first. Then after a bit of shopping, I head to the beer garden to grab a draft, meet up with friends and listen to the guest band performance. 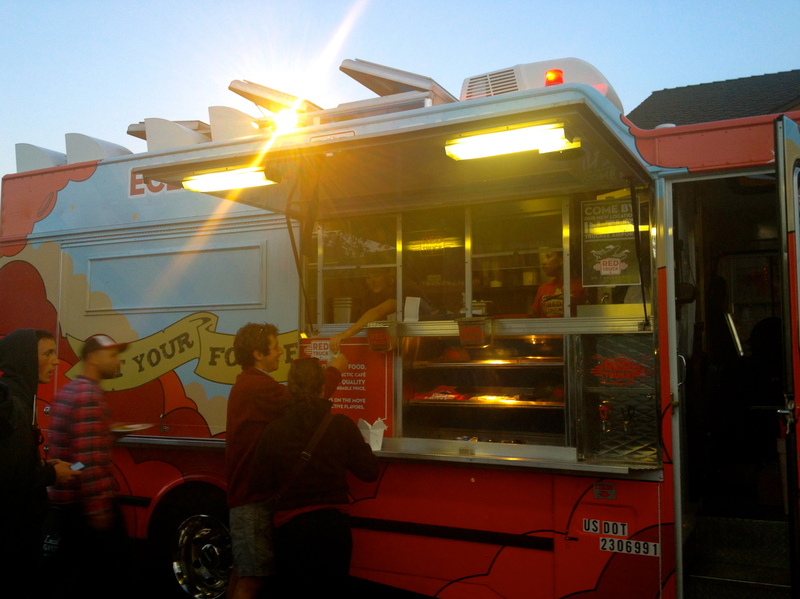 By now I have worked up an appetite and head to the food trucks and stations to see what looks good for the evening. 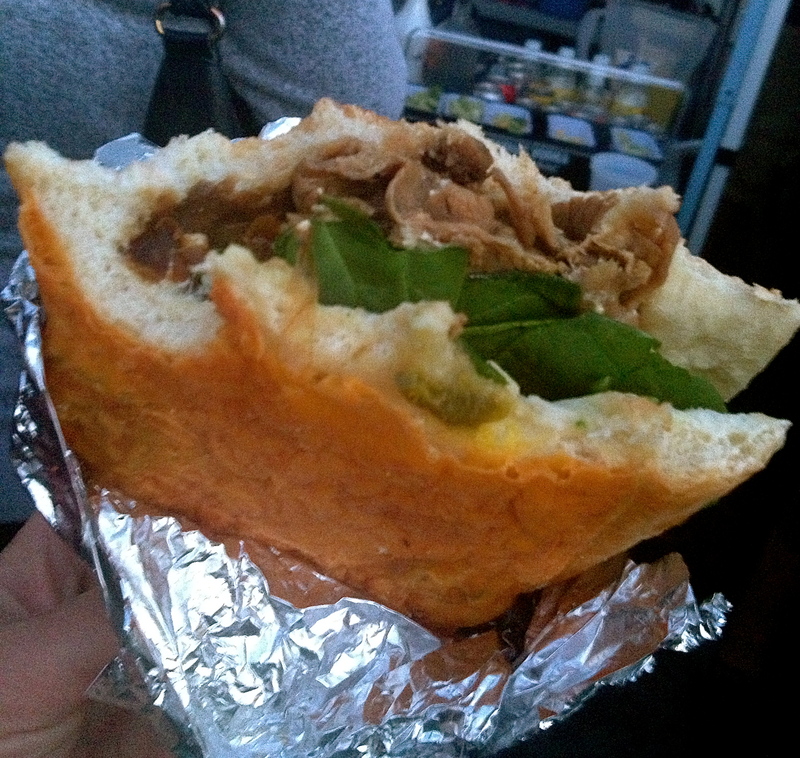 My two favorites… anything from Red Truck or the famed Tri-Trip sandwich from Full Belli Deli (both pictured below). End your evening with one of the many sweet treats available including crepes, chocolate covered frozen bananas on a stick or ice cream that you can find throughout. As the sun sets, temperatures drop and the Truckee Thursday celebration winds down, if you aren’t quite ready to go home I recommend continuing the party at the historic Bar of America in the hub of downtown Truckee. Each week at Truckee Thursday presents a local merchant sponsor along with a non-profit partner band showcasing the main stage in the beer gardens. Check their website for the schedule of events of sponsors including Burger Me!, Northstar California and California 89 to see what lies ahead this summer at Truckee Thursday. This season, Truckee Thursday also announced a few new additions to their line-up! New is a second ‘corner stage’ on the corner of Bridge Street and Donner Pass Road and enjoy Bike Valet hosted by the Truckee Donner Historical Society so you can ride your bikes and avoid the parking jam. New lifestyle and apparel store, California 89, will also be featuring movies for downtown visitors seeking a break from the busy street action. I also heard rumor that for those residents living in Tahoe Donner, a new shuttle route has been added to transport residents after Truckee Thursday events. Can anyone confirm if this is true?! 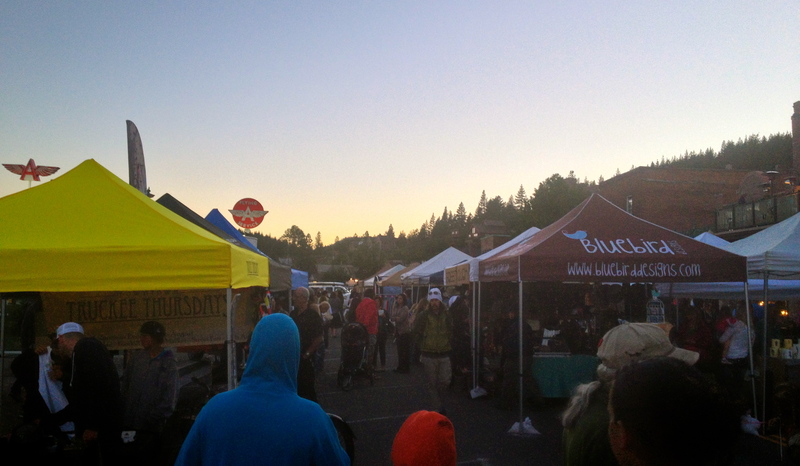 A few local tips to enjoy the BEST evening at Truckee Thursday. Be sure to arrive earlier in order to find parking as it fills up fast! Bring cash as that is all most vendors accept. Another good reason to come early is that the best food will sell-out fast and you won’t want to miss it! Carpooling helps with parking AND be sure to have a safe and sober driver with you if you plan on drinking. 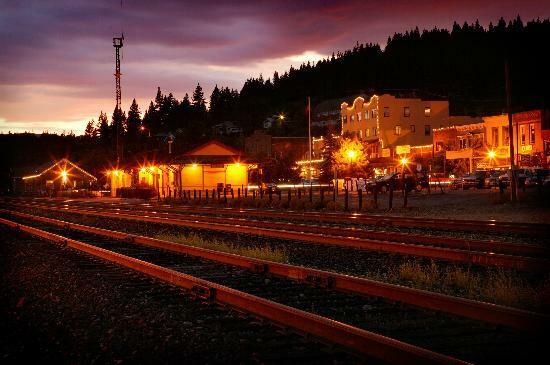 If you frequent Truckee Thursday, what do you most look forward to buying, eating, sipping while you are there? Share your comments below. I hope to see you next Thursday! 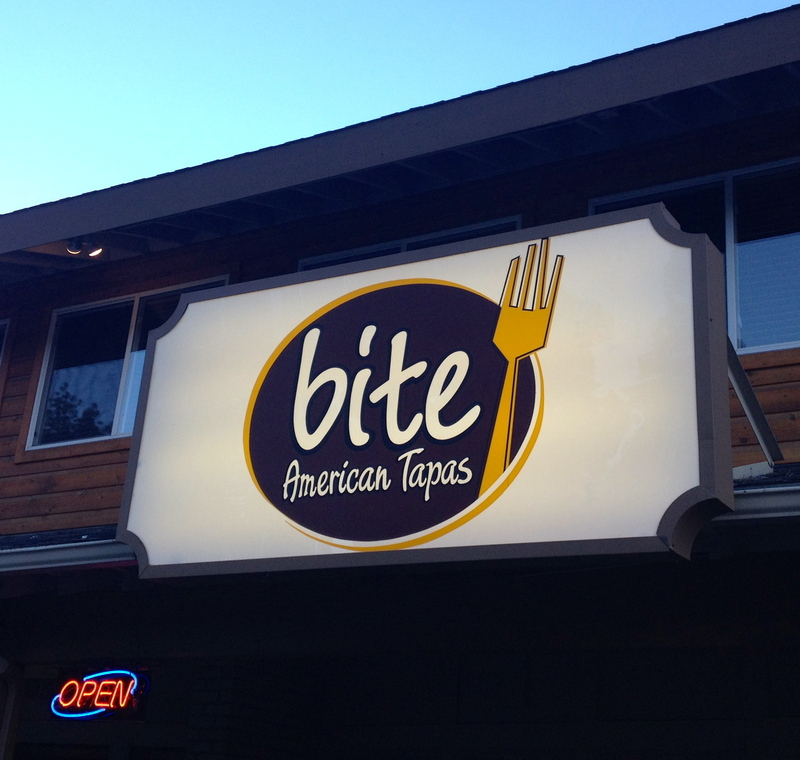 This weekend I enjoyed one of my favorite restaurants in Lake Tahoe, Bite American Tapas located in Incline Village on the North Shore. When my husband and I moved to Lake Tahoe from Maui we were at first a bit underwhelmed by the culinary options in our quaint neighborhood until we discovered Bite. When stepping into Bite one feels relieved to be met by its modern decor, an escape from the mountain decor often found in local restaurants. I love their large bar and lounge area where I almost always sit even though they do have a separate dining area. Bite’s concept features creative share plates, perfect for a social gatherings, and their menu features high-quality, seasonal products and hard-crafted mixology creations from scratch. Menu items are priced to try and share multiple dishes which makes the dining experience more fun and different every time you visit. Another favorite thing about Bite is their daily happy hour food and drink specials from 5-6pm perfect for after work as well as their special late-night menu offered in the off-season. So after my husband and I jumped in the car, took a short drive to Bite, walked in and pulled up to cozy bar seats we started ordering a few of our favorite items I will share with you here. First stop, their seasonal cocktail menu which they had just recently updated for the summer season. However, I had to stick with my favorite, the lemon ginger zinger shown below. 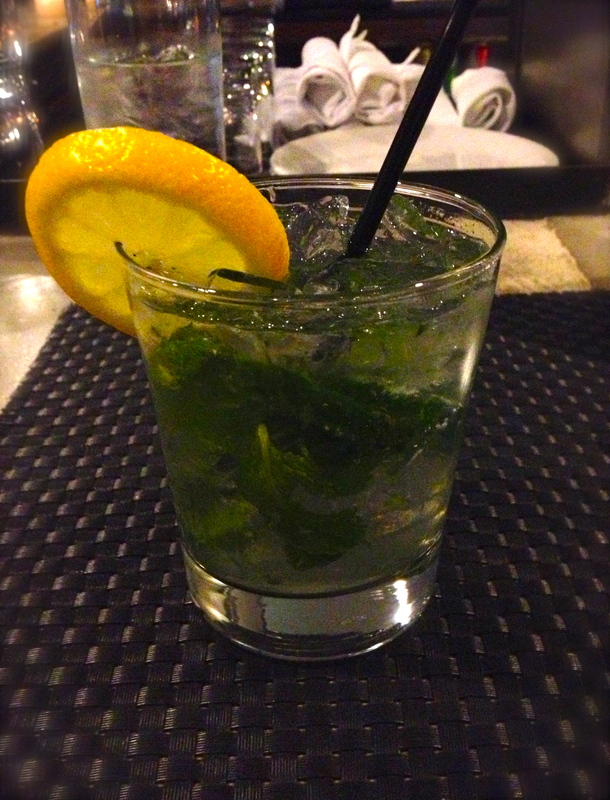 It is a fresh mixture of vodka, fresh mint, ginger, lemon and soda offering a refreshing citrus blend. No exaggeration, this is my favorite cocktail on the planet. While the entire menu is designed for sharing, a few of my favorite appetizer menu items include the Crispy Risotto Balls with Marinated Mozzarella and Tomato Sauce and the Green Eggs-n-Ham Deviled Eggs with Wasabi Tobiko & Prosciutto. They also have a great selection of delicious soups and salads including the Chopped Chinese Chicken Salad which is our favorite. 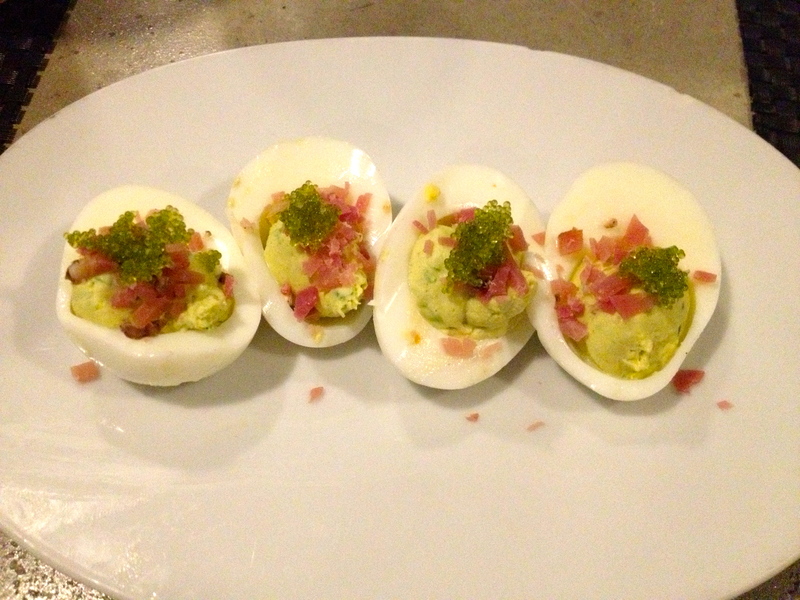 We chose to start our meal by enjoying the Green Eggs-n-Ham Deviled Eggs featured below. Ah the slider menu! Always my favorite part of the meal is picking which pair of savory sliders we will enjoy since they are all delicious and uniquely creative. 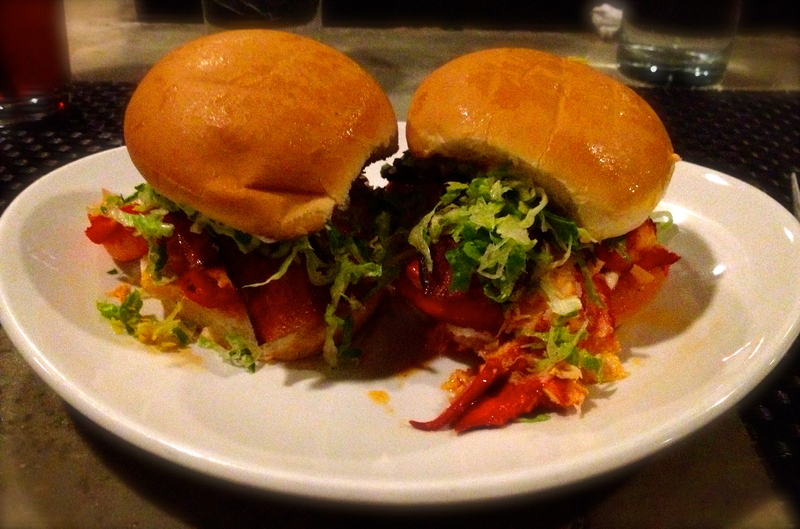 With ahi sliders, beef short rib sliders, duck confit sliders, BLT (L is for lobster!! ), crispy goat cheese and of course traditional American cheeseburger sliders to choose from, you can’t go wrong. If I had to, I would say the ahi sliders are my favorite for their unique balance of flavors and my second favorite the BLT sliders pictured below. 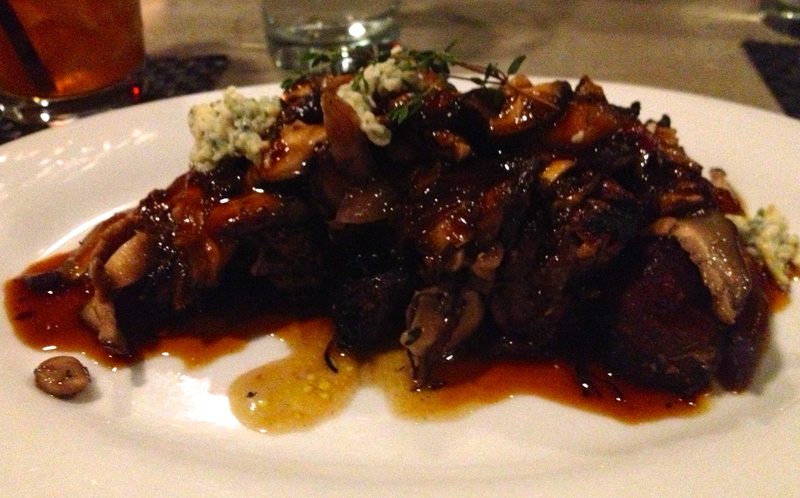 Finally, the main small plates… our favorite dish we always order is the Grilled Filet Mignon Bites with roasted red onions, shiitake mushrooms, blue cheese and a red wine demi glaze for only $18. The sliced presentation makes sharing easy and the decadent red wine glaze paired with mushrooms and blue cheese makes your mouth water! Make sure you save one last bite! Because their desserts are also served in bite-sized portions perfect for sharing (or not sharing!). Ranging from decadent chocolate cake bites, key lime pies bites, crème brule bites to bread pudding bites the hardest choice by far is sticking to just one. I recommend they create a sampler platter of bites! 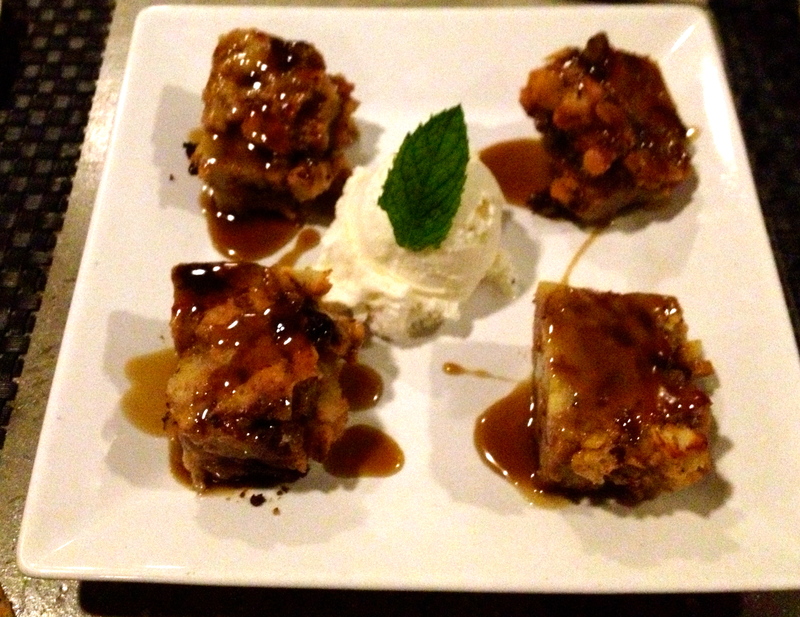 My husband picked the bread pudding bites with vanilla ice cream and it was the perfect ending to our recent visit to Bite. Hopefully by now I have convinced you that Bite in Incline Village is worth a visit and to learn more view their complete menu. 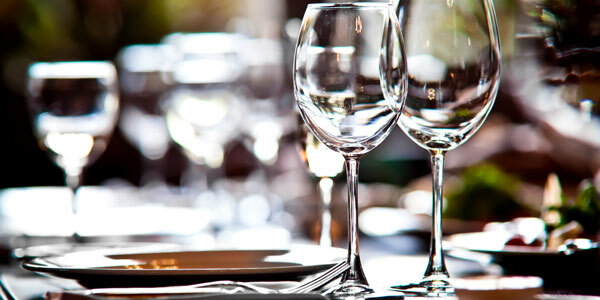 For a list of the most popular dining options on the North Shore of Lake Tahoe be sure to visit this great restaurant list of the North Lake Tahoe Resort Association. Memorial Day Weekend launches the beginning of summer in Lake Tahoe including the “opening day on the Lake” when residents and visitors begin to flock to its beaches and crystal clear waters on weekends and vacations. One of the best rituals visitors and residents partake in the summertime that I especially love is spending the day visiting all of the wonderful lakefront dining options by boat. If you are planning to visit Lake Tahoe this summer, here is an activity that you simply can’t miss! It can be especially fun with a large group of friends celebrating a special event or enjoyed with family members reuniting. To help you along your adventure, I have listed a few of my favorite stops to visit! First, I recommend starting your day at the Hyatt Regency Lake Tahoe Resort, Spa and Casino’s Pier where you can rent various models of speedboats by the reputable Action Water Sports. Here you will quickly become equipped with a vessel to host your journey around the lake for the day. Start your journey by traveling west along the North Shore of Lake Tahoe as you leave Nevada and sail into California. The first stop is one of the most famous along the North Shore, Garwood’s Grill and Pier. 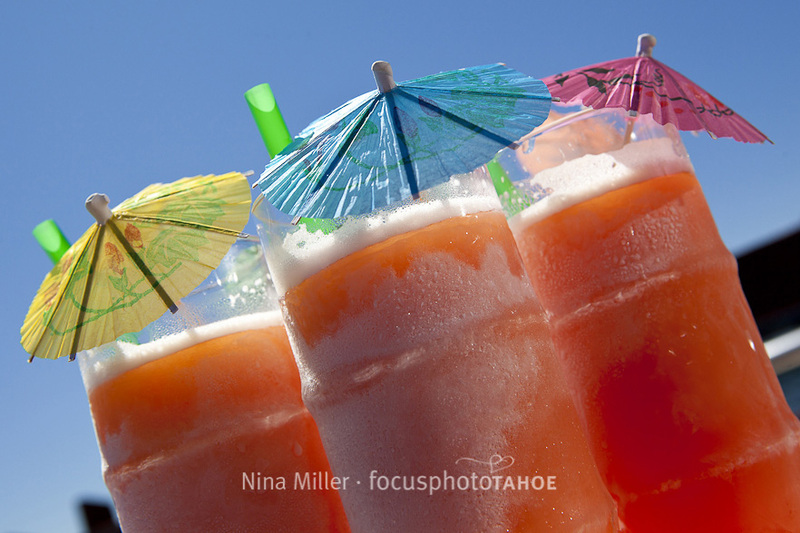 Infamous for its signature beverage, the “Wet Woody” rum punch cocktail this is a must try when visiting Lake Tahoe if you want to do as the locals do. Garwood’s is also a great family, all season restaurant to enjoy lakefront dining for lunch and dinner. Save the date – their deck opening party for the summer is June 19th! Next, cruise further west along the North Shore past Tahoe City and enter the West Shore of Lake Tahoe, especially popular to visitors and part-time residents during the summer months. From a distance you will see the large, brightly colored umbrellas of Sunnyside Restaurant and Lodge. A popular family restaurant in the TS Restaurant group, Sunnyside is my favorite place to enjoy lunch al fresco on its large outdoor deck. Personal favorites include: the zucchini sticks, fish tacos and of course the decadent hula pie dessert! Another popular restaurant to enjoy lunch located nearby is the West Shore Cafe and Inn. Also open for lunch and dinner, guests at the West Shore Cafe and Inn can enjoy the newly remodeled restaurant and California menu offerings including starters, salads, sandwiches and signature entrees. Guests are invited to enjoy lakefront dining under ruby colored umbrellas with convenient pier access while watching boats jet by. Last but definitely not least, if you still have the time and the gas, be sure to continue traveling down the West Shore until you reach Chambers Landing in Tahoma. 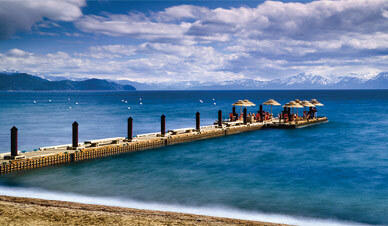 Chamber’s Landing is a favorite amongst locals and has been a hot spot on Lake Tahoe during the summertime for decades. Be sure to visit the rustic but often rowdy pier bar to sample its signature Chamber’s Punch before ending your day on the Lake. Upon return to the Hyatt Regency Lake Tahoe Resort, Spa and Casino be sure to end your evening relaxing in one of the adirondack chairs lining the Pier overlooking the lake while sipping on one of their delicious cocktails, the Lone Eagle Margarita is my favorite. Have you visited a lakefront restaurant at Lake Tahoe and if so what was your favorite place? Please remember that when boating on Lake Tahoe to always follow safety measures, drink responsibility and have a sober driver operate the boat vessel. This past weekend I decided last minute I wanted to get out of town, but didn’t want to deal with an expensive or long drive anywhere. So where could I go? Then it dawned on me, time to take advantage of what’s right in my backyard. 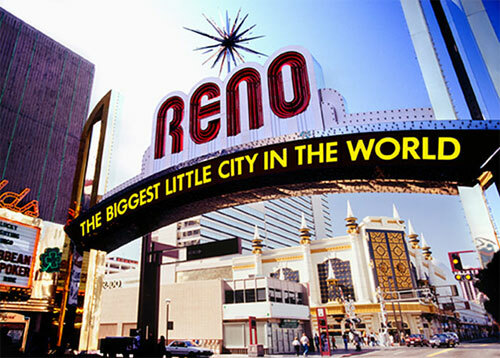 The solution was a “staycation” trip to the nearby city of Reno, Nevada known as the “Biggest Little City in the World”. Tourism professionals in the area strongly promote the activities and events in Lake Tahoe to visitors in Reno, but what about experiencing it the other way around? Located only 29 miles away from Lake Tahoe’s North Shore, the short but gorgeous ride to Reno only takes 45 minutes. So, I packed my bags, jumped in the car and within an hour was beginning my biggest little adventure! First stop, the 2013 Reno-Tahoe WordCamp event held at the University of Nevada, Reno. Hundreds of developers, designers, social media gurus, speakers and blogger enthusiasts joined together for an exciting day of seminars, lectures and networking. This was my first time attending a WordCamp event and it was amazing. I learned so much and even more importantly, met some amazing new people. This got me to thinking about all of the AWESOME events that Reno hosts year-round that may visitors to Lake Tahoe are completely unaware of! 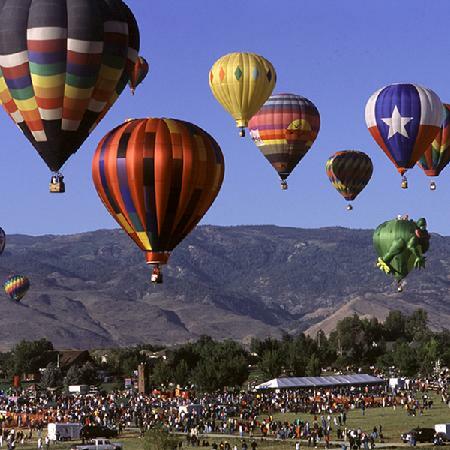 Top events include: Reno Rodeo, Rib Cook-Off, Hot Air Balloon Races, Air Races, Reno River Festival, Hot August Nights, US Bowling Championships and Ace’s Baseball games. Any night visit downtown for dinner along the riverfront followed by some gambling or catch a show or concert at one of the casinos. To keep up on events occurring in Reno, follow the Reno-Tahoe Blog. What particularly impresses me about events held in Reno is how approachable and accessible they are. Growing up near a big city, events of this sort are often challenged by overwhelming crowds, expensive fees and lots of traffic! Instead, events in Reno are intimate, approachable, inexpensive and much less hassle. Where to eat? Reno has hundreds of fantastic restaurants and a rich diversity of cuisines which I particularly enjoy when visiting from Lake Tahoe. I could write hundreds of posts on the best places to eat in Reno, so instead I will only mention the two that I visited this past weekend – Hiroba Sushi and Campo. I was craving sushi and feeling lucky to be in town so I could visit my favorite place, Hiroba Sushi. They have a fantastic all-you-can-eat sushi which is hassle-free, delicious sushi creations and a personal, engaging waitstaff. The only downside, they are always packed! I was especially appreciative this past visit when a gracious hostess slipped me into a spot at the sushi bar and I walked right in without waiting. The next day, it was gorgeous outside and I was able to join friends and visit a restaurant I have been anxious to try, Marke Estee’s Campo. 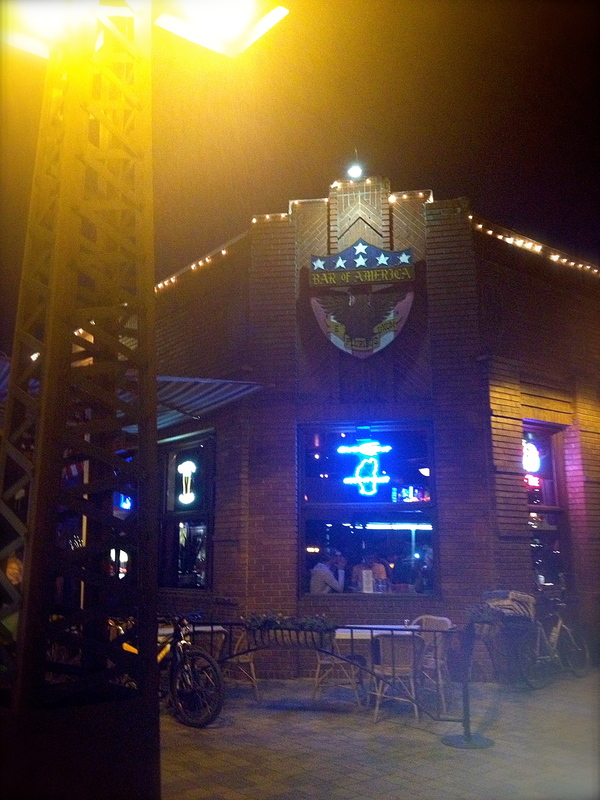 Located in the hub of downtown along the Truckee River, its indoor/outdoor scene was perfect for this gorgeous day. We grabbed a table outside and enjoyed Sunday brunch. The selection was fantastic and proud of my italian heritage I was particularly pleased with the authentic Italian dishes and ingredients on the menu. I will definitely be back for seconds. To decide what to eat during your next trip to Reno, check out Chris Cook’s Sincerer Love and learn about dozens of restaurants and cuisines to enjoy while in town. Shop ’till you drop! Reno also offers a fantastic variety of shopping venues to visitors ranging from small boutiques, vintage stores, discount outlet plazas and malls to full-service department stores. Whatever you are looking for, Reno has it. This past weekend I was able to find one-of-a-kind items while boutique shopping on South Virginia Street, conventional pieces at Macy’s in the Meadowood Mall and hot sale items at the Summit outlet stores in South Reno all in the matter of hours. Not very many big cities afford the variety, ease of navigation and close distance as Reno shopping does. To learn more about Reno fashion along with great tips on where to shop local visit Reno Has Style. After learning more about Reno, I hope during your next visit to Lake Tahoe you drive down the mountain to witness the rebirth in Reno and experience the “biggest little city in the world” for yourself. Share in the comments if you have visited Reno before during a trip to Lake Tahoe and if so, what did you do? Growing up and visiting Lake Tahoe, downtown Truckee wasn’t much more than a town we passed through when exiting Highway 80. I have fond memories of the quaint town and liked its brick buildings, feeling as though I had stepped into a history book I was studying at school. Mostly, it signaled that we had almost reached Lake Tahoe and the drive was ending! But besides that, I really didn’t pay attention to it. Then, three years ago when I relocated to Lake Tahoe I started talking to locals to find out where the hot spots to dine and socialize. To my surprise, universally all of the North Lake Tahoe locals’s replied… Truckee. Today Truckee is the epicenter of North Lake Tahoe. At a first glance, it doesn’t look much different from its historic days as an old railroad town, but don’t be fooled like I was. Inside the historic brick buildings of the from the 1860’s a new generation of posh restaurants, trendy boutiques and emerging small businesses have been sprouting and making deep roots with their reputation on a world stage. This year, Truckee was names one of the World’s 25 Best Ski Towns by NationalGeographic.com thanks to its central location amongst world class skiing including Squaw Valley, Alpine Meadows and Northstar California. 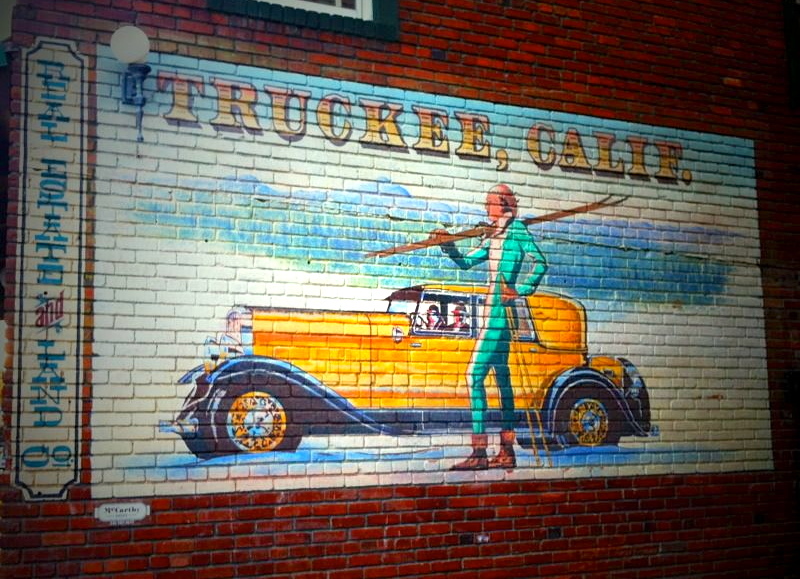 Truckee is also home to boutique accommodations such as the historic Truckee Hotel as well as quaint artisan shops and art galleries, most notably The Carmel Gallery. It is also home to world class restaurants and one of my favorite places to visit in Lake Tahoe due to its variety of culinary options. Best Breakfast: SqueezeIn – Make sure to go hungry, lots to choose from and generous portions! Best Burger & Fries: Burger Me! – If it’s good enough for Guy Fieri it’s good enough for me. Best Date Night Spot: Pianeta – Homemade pastas and great happy hour specials, Mangia, mangia! Downtown Truckee also hosts a variety of great events year-round that visitors enjoy. My favorite Truckee event, along with many North Shore locals, is Truckee Thursdays which begin on June 13th and continue weekly until the end of August. More to come on these events when summer gets closer! To learn more about all there is to do in Truckee as well as view a calendar of events, visit the city’s official website. Truckee is located 12 miles North of Lake Tahoe via Highway 267 at the intersection of Highway 80. 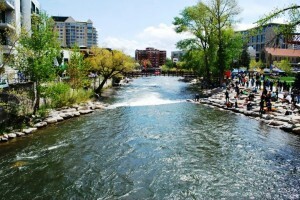 It lies along railroad tracks and the Truckee River both which originally made it famous. I strongly recommend visiting downtown Truckee on your next visit to Lake Tahoe and trying one of my recommendations above. Share in the comments below if there is a place in downtown Truckee you most enjoy! The different cities and communities scattered around Lake Tahoe, each with its unique personality, offer fantastic restaurants to discover and enjoy. Visitors can easily miss out on the best locations. In this post I am going to share an overview of dining options by location and highlight a favorite offering in each! The West Shore hosts culinary favorites that offer serene lakeside dining and picturesque alpine glow sunsets. A popular location on the West Shore is Sunnyside Restaurant & Lodge offering year-round dining with boating access and superior al fresco dining in the summertime. The newest addition and growing favorite amongst locals also located in Sunnyside is Spoon serving homemade “good & good for you comfort food” picture below. Located in a quaint rustic cabin in the woods, the comfort expands even to its decor! Downtown Tahoe City is the epicenter of North Lake Tahoe whose streets are lined with shops and restaurants providing exquisite fine-dining options including – Wolfdale’s Cuisine Unique, Christy Hill and Jake’s on the Lake. Opened in 1978, Wolfdale’s Cuisine Unique has proven to be a leader in culinary fusion offering a unique menu with a mixture of Asian and European cuisine and a twist of California contemporary. Traveling from Tahoe City to the East Shore, North Lake Tahoe is scattered with some of the most popular restaurants in Lake Tahoe including Garwoods Grill & Pier, Lanza’s, Soule Domaine, Lone Eagle Grill, Big Water Grille, Le Bistro and a local favorite, Bite American Tapas. I fell in love my first week in Lake Tahoe with Bite – a must visit in Incline Village. Entering Bite you feel as though you have stepped into a posh city restaurant and bar. Serving up specialities in “bite” sized tapas plates perfect for sharing and trying them all! A few local favorites include the crispy risotto balls, BLT (the L is for Lobster!) sliders, Moroccan spiced lamb meatballs accompanied by unique mixology cocktails. 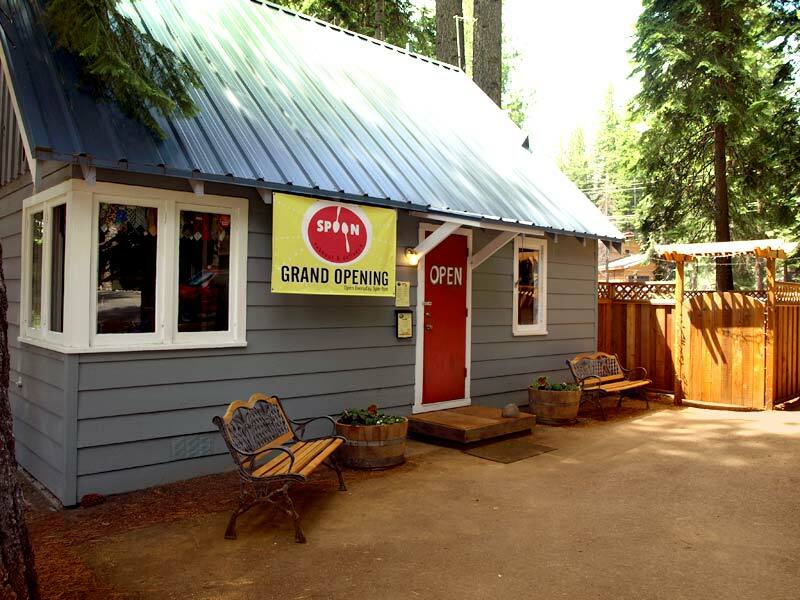 Taking the drive to nearby Truckee you will find a reinvented culinary hub featuring favorites such as Moody’s Bistro Bar & Beats, Cottonwood Restaurant & Bar, Trokay Restaurant, Pineta Cucina Italiana, Bar of America, Burger Me, Stella and many more. With so many to choose from, here I highlight the brightest new star Stella Restaurant at the Cedar House Sport Hotel created by Chef Jacob Burton. To experience Stella the right way, you must try the monthly Chef’s Tasting Menu and take the culinary journey from start, next, continue to finish (names of each course!) all while sitting in the intimate dining room with a front and center open kitchen view! On the other side, South Lake famous for its lively nightlife and up all night offerings, celebrates a number of fine-dining options including Edgewood Restaurant, Ciera Steak + Chophouse and Evan’s American Gourmet Cafe. Edgewood Restaurant located at the golf course is a favorite offering beautiful panoramic sunset views over Lake Tahoe and serving a traditional menu of fish and steak entree classics. The best culinary Magazine in the area is by far Edible Tahoe Reno. Their dining guide is an exceptional way to learn more about new restaurants and special offerings in Lake Tahoe. Do you have a favorite restaurant in Lake Tahoe? If so, share it below and let’s continue to discuss the best dining options in Lake Tahoe. More Lake Tahoe restaurant reviews and insider dining tips are on the way!